I would like to take Advanced Research (AR), Directed Independent Studies (DIS) or Dissertation (DI) credits this semester. Are there any restrictions I should be aware of? YES. Dissertation credits can only be taken after admission to candidacy. With the exception of summer semesters, no AR/DIS/DI credits can be taken prior to successful completion of both qualifying exams. Moreover, prior to successful completion of the preliminary exam at most 3 AR/DIS/DI credits can be taken. What is the timeline for M.S. and Ph.D. defenses at the Department of Mathematical Sciences? Beginning of the semester: Notification of supervisory committee and submission of application for degree in accordance with FAU deadlines. Four weeks prior to the defense: Submission of complete thesis draft to the members of the thesis committee. Two weeks prior to the defense: Proposed thesis is made available to the departmental graduate faculty in SE 234. Public defense of the thesis. What is the timeline for the MS Exam at the Department of Mathematical Sciences? A student who wishes to take the MS Exam chooses a committee of three (3) graduate faculty members from the Department of Mathematical Sciences who agree on a topic to be presented. The MS Exam Form should be completed at least four (4) weeks before the presentation. The subsequent presentation should be attended by all three committee members. A student will have two attempts to pass the exam. after the end of classes until the evaluation of pertinent final exams is complete. 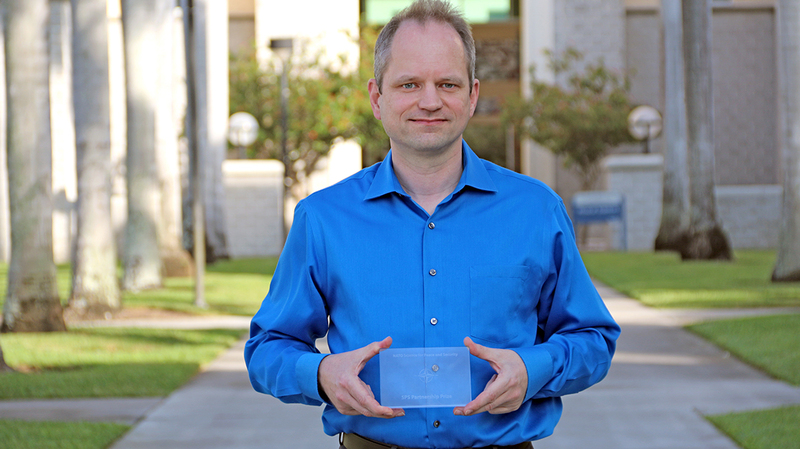 There are several internal FAU fellowships and awards available to graduate students. Several of these have been awarded to students in Mathematics over the last few years. See the following webpage for a complete list with deadlines: Graduate Fellowship and Awards. Graduate Student Seminar - Seminars will be held in SE 215, and details will be emailed regarding time, presenter and abstract. LaTeX class for a Ph.D. dissertation provided by Christopher Beetle. Be sure to check with the Graduate College and consult the Thesis and Dissertation Guidelines when preparing your dissertation.